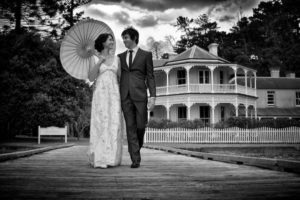 Take a step back in time for your big day. Let your guests relive the elegance of Mansion House. Mansion House, Kawau Island can be accessed from Sandspit which is a short 45min drive north of Auckland. Making this easily accessible for guests yet secluded enough for you to enjoy a private unique occasion. Wander through the comprehensive gardens of Mansion House and enjoy the tranquil sea views back to the Matakana Coast Region. Can provide anything from simply transport to majestic venues to full catering. We look forward to helping you create your dream wedding. We have three venue options varying from the vessel itself, Mansion House Cafe or an enchanting Marquee amongst the magnificent gardens of Mansion House. We also have available a certified marriage celebrant, our captain Laurence McLeod. 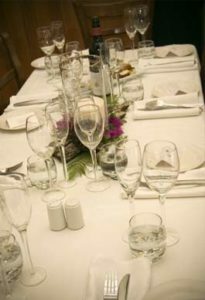 Our catering can be tailored to your requirements, perhaps you may wish to take advantage of our local wines and produce. Our menus will satisfy even the most discerning of guests. 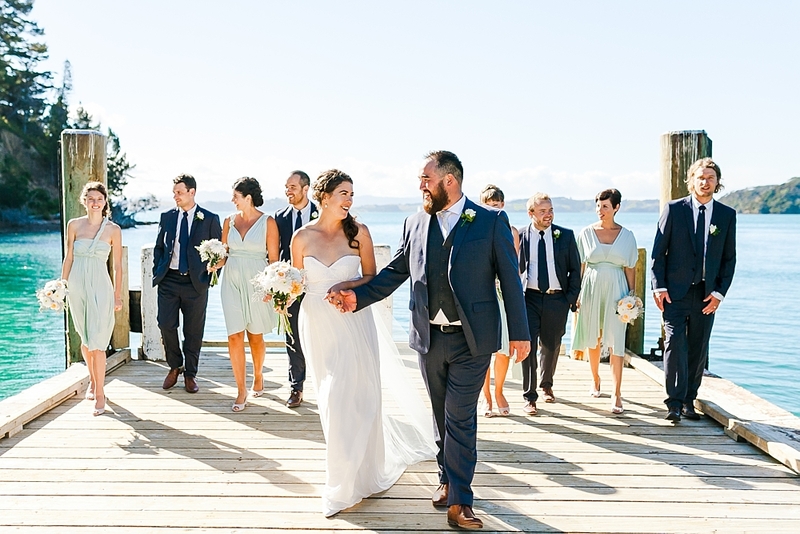 Your wedding, your way our menu options can range from a classic Kiwi BBQ to an epicurean feast. Is a 20 meter Catamaran with a fully enclosed main saloon the rear deck is open and the upper deck is partially enclosed. The main saloon provides a 180 degree view making a beautiful backdrop for wedding photos. Our staff pride themselves on providing top quality professional service and are well versed in the stories of Kawau and the local area. 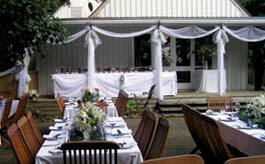 Kat IV is fully equipped for full wedding catering including a bar area. Kat IV provides an all weather option for your special occasion. Let your childhood dreams become a reality. A marquee in the gardens is an elegant affair. This is a wonderful option for anything from a boutique wedding to a grand occasion. A marquee will take full advantage of the awe inspiring views. Nestled amongst the trees in the grounds of Mansion House Reserve. Cafe can seat up to 100 guests as they listen to the delightful sound of the native birds singing and watch the majestic peacocks cross your path. This is an environment that will offer just that little more comfort welcomed by elderly guests.